Spread vegan butter on the outside halves of the bread. On the inside, spread Russian dressing, lay one slice of swiss on each half, and corned beef one half. Grill on medium heat, open-faced, buttered side down with the lid on until cheese is melty. 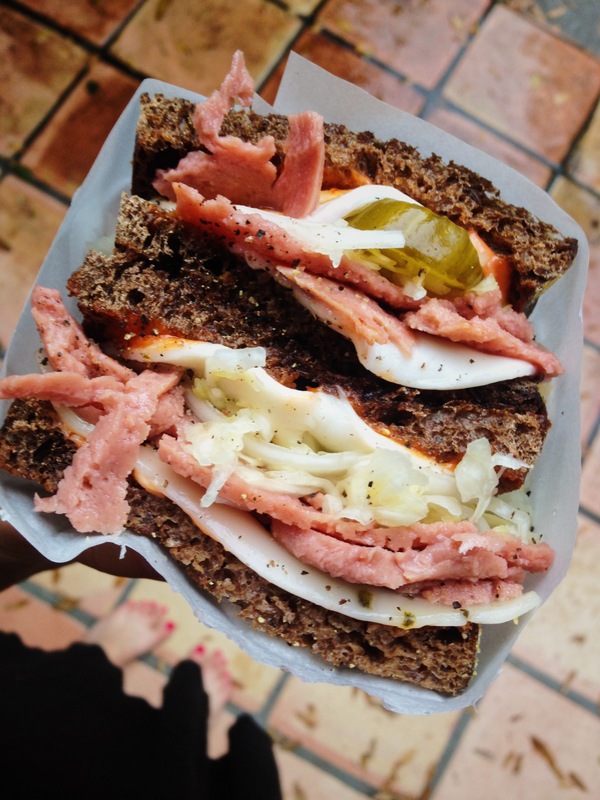 Remove from heat and lay sauerkraut and pickles over corned beef, cover with the top half of the sandwich and EAT!